Home Apps & GamesAndroid MIUI based Poco Launcher Now Available For Your Android Smartphone! MIUI based Poco Launcher Now Available For Your Android Smartphone! Recently, Xiaomi based POCO Smartphones launched POCO F1 the company’s first smartphone with flagship specifications and become famous all over the world with its aggressive pricing and brilliant features which many of the high-end flagship devices do not offer. 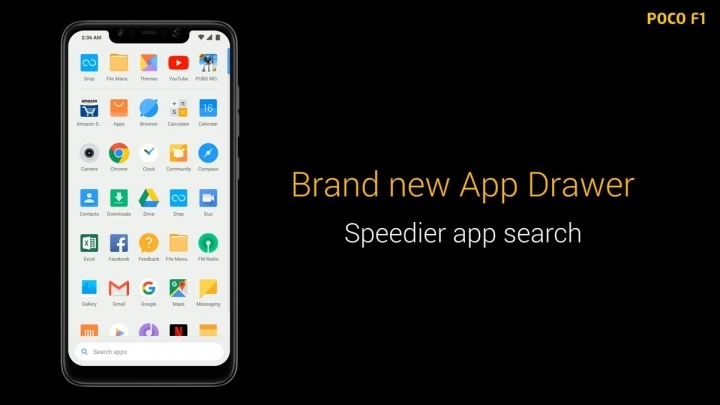 POCO F1 was famous for one another reason and that was the MIUI based POCO launcher which gives you an amazing fast experience with the device. All the Android Users who loved the smart MIUI based POCO launcher get ready to experience it on your Android device because the MIUI based POCO launcher is now available on the Play Store for all the Android Devices. The POCO launcher offers fast performance with built-in features for improved usability. 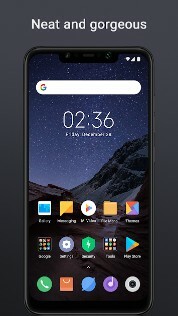 Xiaomi has decided to make the POCO launcher available for every Android Device and is available on the Play Store and all the Android users can download it free for use. 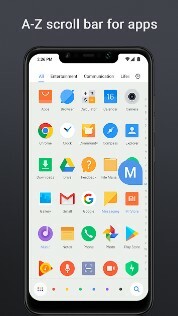 Clean Home screen – POCO Launcher puts all apps in the App drawer which is the majorly missed feature in MIUI but now comes in POCO launcher so your Home screen looks neat and clean. Convenient search – App recommendations, icon color categories, and lots of other customizable features allow you to find what you need much faster in an efficient way. Manage apps – Group apps by category automatically or create custom groups to always keep important things just a tap away. Ability to group apps by color. Customize icons – Use any Android icon packs to give your Home screen a truly unique look. Fast and smooth – POCO Launcher is born for breakneck speeds. Forget about slow system animations! Fast User Interface Animation. So, if you love the way the all-new POCO smartphone looks and want to have the same on your Smartphone then the POCO Launcher from Xiaomi is a treat for you. Or if you love Xiaomi Smartphones and want to have the same UI with considerable changes on your device then just download the POCO Launcher and experience an awesome user interface on your phone. POCO Launcher is a full-featured customizable launcher for Android phones. It’s beautifully designed, super fast and secure. 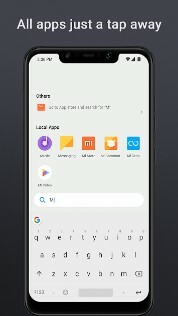 You can download the Xiaomi’s MIUI based POCO Launcher from the Play Store here on your Android Device and enjoy a new level of the user interface with your Smartphone.